26th June Sunday, was the concluding day of the International Yoga Day celebrations, at Ananda dham. A half day VIMARSHA on "Yoga and Education" was arranged from 10 a.m to 12.30 noon. 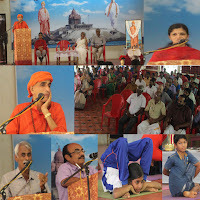 Sri Gopinath Edakkunni, Course Director of Thrissur District Yoga Association and Srimad Swami Tejaswarupananda Saraswathi, form Vivekananda Sevasram, Triprayar were the chief speakers. Susree Indu, student of Sri Gopinath and a Yoga therapist by profession spoke about her experiences. 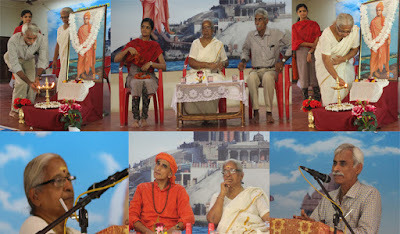 Sri Harinath.P, Yoga teacher at Bharatiya Vidya Bhavan's Vidya Mandir, Kodungallur since last fifteen years, shared his experiences as a Yoga teacher while dealing with different age groups of school children. This was followed by a beautiful yogasana demonstration by the prize winners of the various yoga competitions conducted earlier. As the last item of the day, the prize distribution for the winners in Yogasana contest. 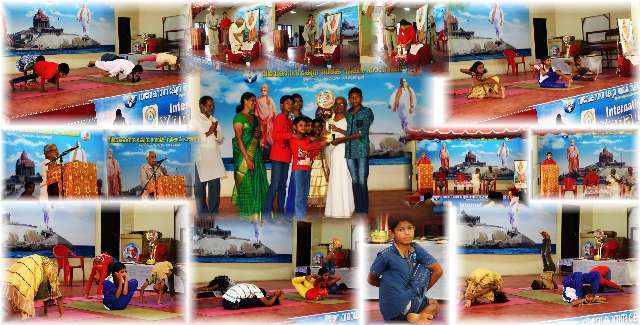 Mananeeya Didi and Sri Nayarananji, one of our guests and a yoga practitioner from Angamali, gave away the prizes. This year too, Mananeeya Eknathji Memorial rolling trophy for the best performing school, went to Guru shree Public School. Bharatiya Vidya Bhavan School were the runners up. 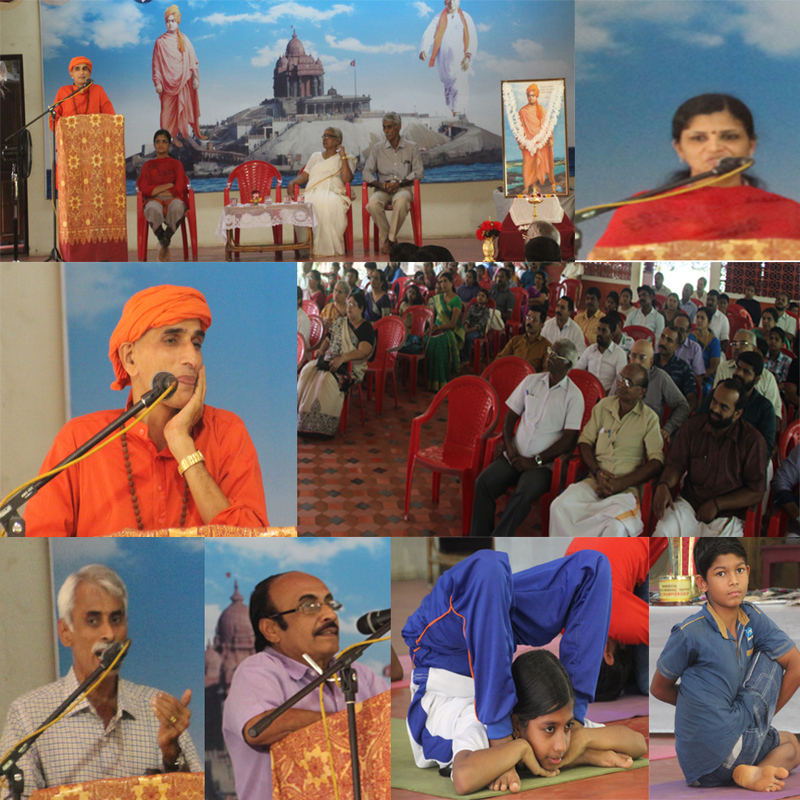 The programme concluded by 1.30 p.m.with Shanthi mantra.